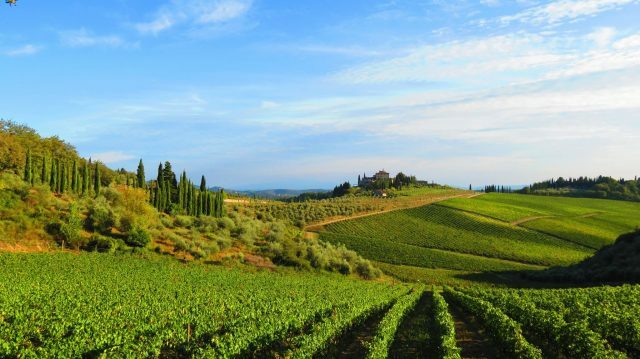 One of Italy’s oldest and most revered wine families, Frescobaldi, has revealed to db that it remains committed to making future wine investments in Tuscany. This historic property, situated between the central Chianti villages of Radda and Gaiole, is nestled within a 617-acre estate with 250 hectares under vine including 52 hectares of south-facing vineyards, in the Gaiole commune of Chianti Classico. The terroir is notable for its rocky and free-draining soils and its vineyards enjoy a wide range of diurnal temperatures during the growth cycle of the vine. Frescobaldi has been managing the estate’s vineyards since 2014, but has now taken full ownership of the estate. “This year we will release the wines of the magnificent 2015 vintage, which has extraordinary complexity and longevity. “The estate’s flagship wine will be its Gran Selezione: two other Chianti Classico wines will also be produced,” said Lamberto Frescobaldi, president of Frescobaldi. Frescobaldi also owns Tenuta di Castiglioni in Montespertoli; Nipozzano castle in Chianti Rufina; Castelgiocondo in Montalcino and Tenuta dell’Ammiraglia in Maremma. 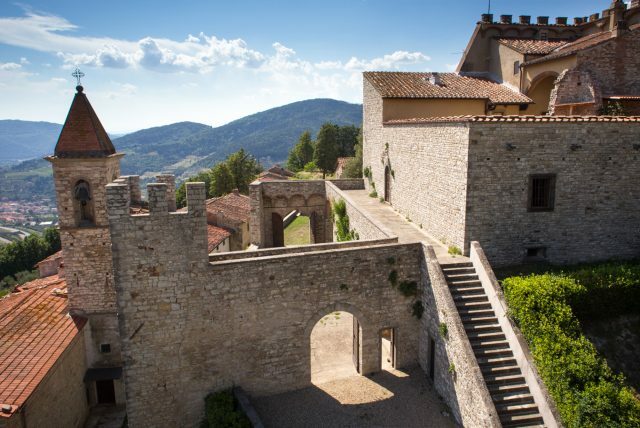 The company has expanded its agriturismo facilities at both Nipozzano castle in Chianti Rufina and Castelgiocondo in Montalcino, offering guests the chance to stay at both properties and enjoy cellar tours, and traditional Tuscan dishes paired with Frescobaldi wines. Last November Frescobaldi opened a restaurant in Florence’s Piazza della Signoria that specialises in classic Tuscan dishes with a modern twist. Ristorante Frescobaldi Firenze serves the likes of veal cheek pappardelle with rosemary croutons; Sicilian red prawn tartare with avocado; pear and pecorino tortelli with honey and walnuts; and beef fillet with brandy and almonds. On the wine front you’ll find the full Frescobaldi range on pour including an impressive collection of back vintages of Ornellaia and Masseto. Also on pour is Gorgona, a Vermentino and Ansonica blend made in collaboration with Frescobaldi and prisoners on the island of Gorgona to give them the skills to help them get back into work.